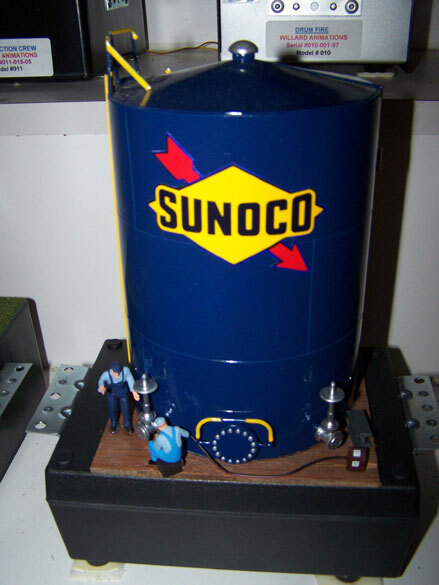 Our Tank Welder is available with all major oil refinery names and appropriate colors. Watch as the welder arc welds on the valve in front of the tank. This animation includes a new extremely realistic, electronic, flashing white LED welding arc. Real smoke rises from the "cutting" area. Includes actual random welding sounds. Adjustable volume. Includes smoke and wiring diagram. Fully landscaped as shown.